Mercedes-Benz Motorsport Kids Seatbelt Padding. Great seat belt padding in the shape of a McLaren Mercedes F1 car from the Mercedes Motorsport line. 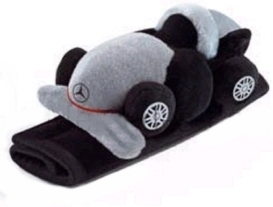 This is of course officially licensed Mercedes Benz merchandise.